Depsite it's humble appearances, genetic information from the lowly sea sponge could help scientists to better understand the processes behind cancer. The genome of a species of sponge - Amphimedon queenslandica - has recently been decoded, with the results presented in this week's Nature. 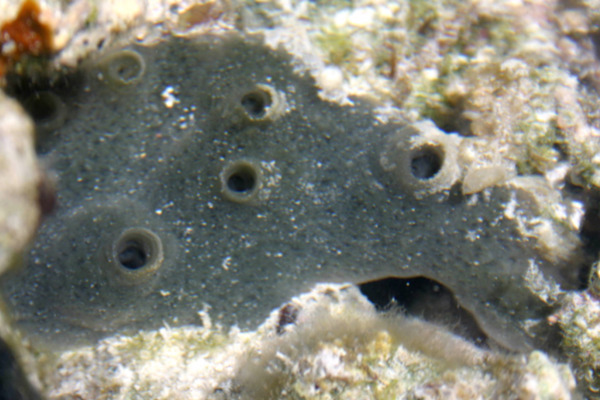 Sponges are sessile (non-mobile) creatures from the earliest branch of the metazoa group, otherwise known as the animals, which evolved from single-celled organisms over 600 million years ago. Scientists believe that by decoding their genome, they may help to shed light on what the first multi-cellular life might have been like. The team, headed by Mansi Srivastava from the University of California at Berkeley, compared their sponge genome with those of both more-recently diverged animals, and of the sponge's closest single-celled relatives. They were able to show that A. queenslandica shares lots of similar genes with the other animals, despite appearing very different from what we might believe to be 'typical animals'. In comparing these genomes, Srivastava and her colleagues were able to investigate the "toolkit of genes" that were required for multi-cellular life to evolve. These include genes that permit cells to stick to and recognise one another, as well as those for cell replication. The results of the analysis could also help us to understand what had to happen to the DNA sequence itself to permit the metazoa to emerge. Many of these genes in the "toolkit" have also been implicated in common human diseases. For example, cell replication and cell adhesion genes are associated with the development of cancer, and some self-recognition genes have been linked with autoimmune diseases like rheumatoid arthritis. So information about 600 million year-old animals could help us to understand how some of today's most prevalent diseases come about.